As many of you are aware, I practice out of a large integrative medicine clinic here in Sydney, which means I’m lucky enough to work alongside some of the most esteemed names in collaborative healthcare. Lucky for me! AND lucky for you! 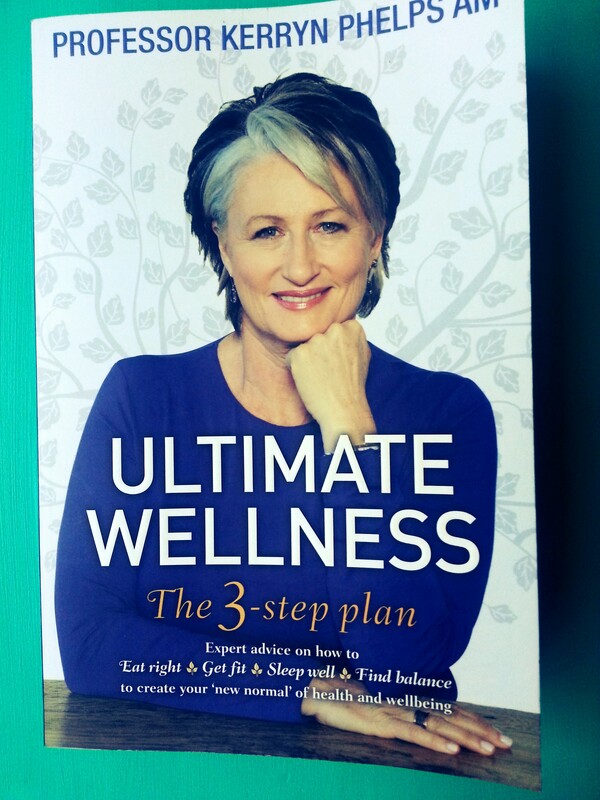 One of my colleagues is the wonderful Professor Kerryn Phelps, who has just published a new book: Ultimate Wellness – The 3 step plan. Have you seen it in the bookshops? Have you heard about it in the press? Have you read it yourself? All of us at Uclinic received a copy and I swiftly devoured mine. While the topics discussed and advice given throughout the book are familiar to me and my clinical practice, I still got a lot out this personally and I’m sure you will too. Ultimate Wellness provides a great overview of the many factors that can push you off the wellness wagon: everything from diet and lifestyle, to hormones, to your relationships and environment. Often a complex picture! It also outlines some of the best ways to get yourself back on track and what type of practitioners are appropriate to help you do this. Following three easy steps, Kerryn’s book explains how to ‘audit’ your health, ‘reboot’ your lifestyle and ultimately sustain those healthy practices. In short, it encourages you to begin an honest assessment of your health and life, it arms you with strategies to begin feeling better and ultimately inspires you to stay that way! Ultimate Wellness is aimed at those of you who aren’t at the top of your game. Those of you who aren’t functioning at 100% … who could do with a spot of ‘feeling better’. This, by the way, describes just about everyone that consults with a practitioner like me or my colleagues. It also, in my opinion, describes just about everyone else out there who doesn’t. Yes, that means you too! So many of us, as we bustle through life, are functioning – purely functioning – but not healthy. Honestly. It’s easy to fall into this pattern, often without realising it, and happens to everyone at some point – myself included. Remember: your health is more than just immunity against coughs and colds, allergies and infections. Your health is also your life. Seriously. Have you read Ultimate Wellness? What did you get out of it? I’ll have to get me a copy!